I love pasta, potatoes, and bread. There’s no getting around this fact. Two weeks ago, I told myself that I would significantly cut back on carbs. I haven’t done as well as I planned, and I take full responsibility for that. I’m working through it. Perhaps the reason for my behavior is my perverse obsession with pasta. It’s one of my favorite things to cook and eat! Whenever I think of what I’m going to make for dinner, the words that pop–almost violently–into my head are ziti! fettuccine! ravioli! LASAGNA! It’s hard to pass-up dishes like these. Like I said, I’m working through it. This is why it’s so heartbreaking when I go on a weight loss plan. Because pasta dishes–namely those involving a cream sauce–aren’t exactly a suitable dinner option. Let’s face it: No one can go to the Olive Garden, order the fettuccine alfredo, and then be genuinely confused as to why they’re not losing weight. It just doesn’t work like that. However, because I told myself that I would not deny myself of ANY foods during the holiday season, I decided last night that I would attempt a healthy version of a cream sauce. I know what a lot of you are thinking: There’s nothing healthy about cream sauce. That being said, I did the best I could. This is probably a good time to mention that I don’t intend on making this regularly. By no means is this recipe appropriate for days like today. 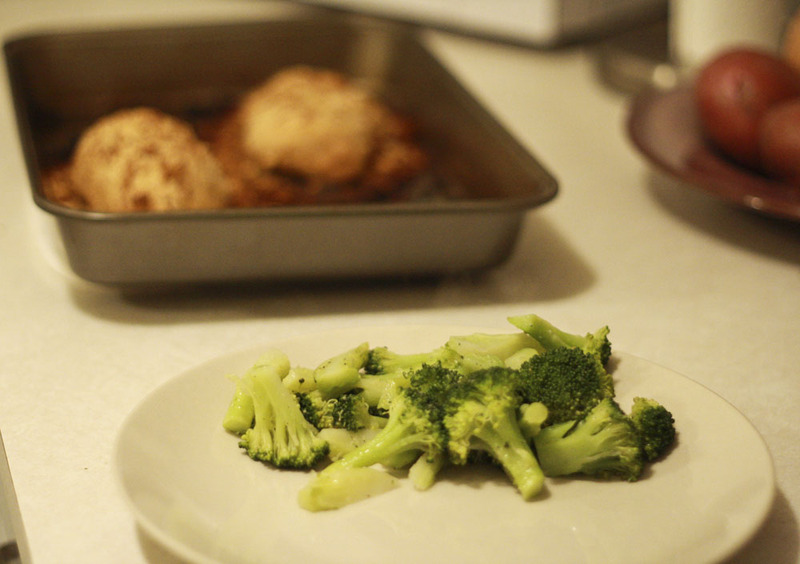 (Today my dinner consisted of 1) chicken, and 2) broccoli. And did I mention I ran a 5k?) This recipe is for days when my carb-cravings must be silenced with pure satisfaction. The days that I ravage the take-out food listings with a disturbed look in my eye. Mark my words: On days that do not include the aforementioned, I do not recommend this recipe as a staple for weight loss. Consider yourselves warned. Shrimp Linguine in Lemon Butter Cream Sauce Adapted from AllSands (dot) com‘s food and recipe section. I sought out this recipe in a desperate attempt to imitate a dish from Café Lucky Noodle in Eugene. It’s called Almond Breast of Chicken, and it is one of the most satisfying meals I have ever had the pleasure of eating at a restaurant. It is “finished in a light, lemon butter cream sauce with linguine pasta and sautéed vegetables,” and I fantasize about it on a daily basis. For my first try at a legitimate cream sauce, I think I did a pretty good job. 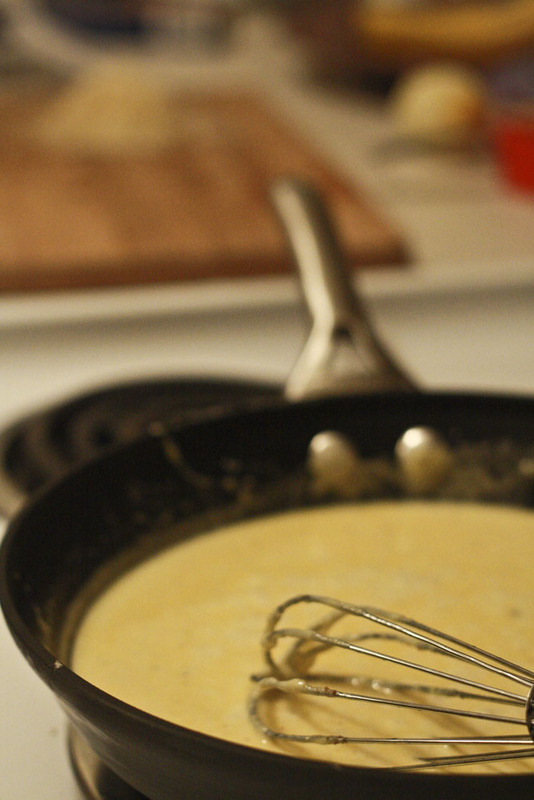 (I once made an illegitimate cream sauce with no measurements or directions to speak of). Luckily, I had my friend Alex Bertoni handy to help me make this recipe successful. Unless you’re some sort of superhero, I would suggest making this meal with a partner. The sauce needs a full-time babysitter, a constant eye, and continuous stirring. You don’t want to leave it sitting unattended on the stove, or else it could stick to the pan. Nothing’s worse than a messed-up cream sauce. Cook pasta as directed, al dente, then drain. In a small, heavy saucepan, combine the whipping cream, half and half, lemon rind, and half of the minced garlic. Bring to a boil and boil for 3 minutes. 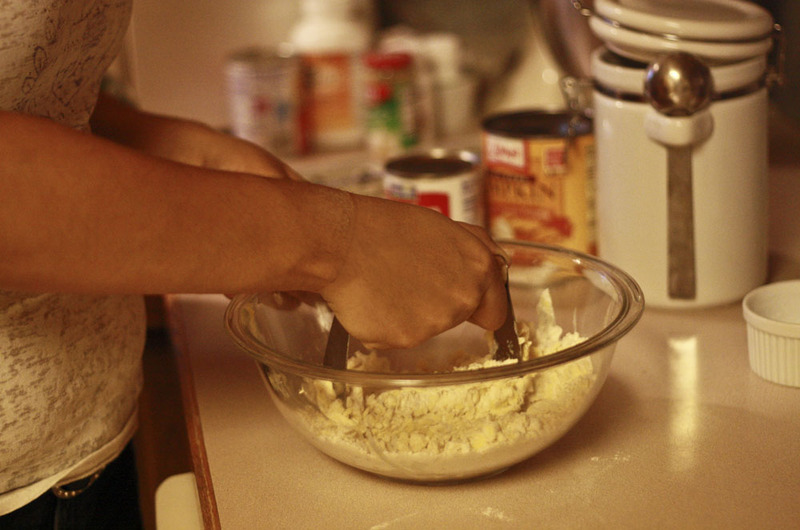 Reduce heat to medium-low and whisk in the margarine in small spoonfuls . Whisk until margarine is completely melted. Meanwhile, combine the shrimp and remaining garlic in a small frying pan. Drizzle with olive oil, salt and pepper. Cook over medium heat until shrimp is completely pink. When the sauce mixture is ready, add the lemon juice, Parmesan cheese, nutmeg, salt, and pepper (to taste) and continue to whisk over low heat until the cheese is completely melted. Toss with pasta over medium heat for 1 minute. 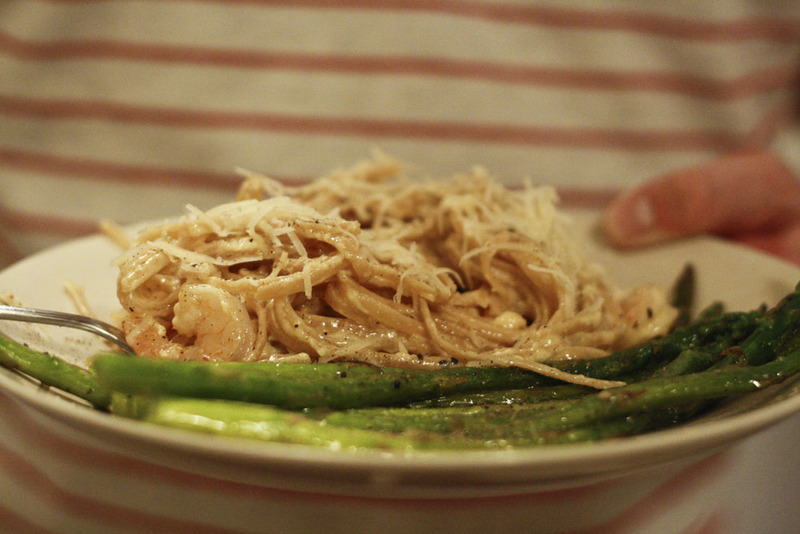 Toss the finished shrimp with the pasta. Serve immediately with lemon wedges and parmesan if you like. It was just a typical Saturday in November. My mom wanted to experiment with a new recipe, the #1 Oregon Ducks (whoop whoop!) were about to take on Cal, and I had a hankering for pumpkin pie. It was the perfect opportunity to delve into my friend Michelle’s two areas of expertise: pie and football. To make it a challenge, I insisted that I try my hand at a homemade 10-inch pastry crust. And a challenge it was. Mere moments after this picture was taken, we observed that my mashed pastry mixture was not “resembling peas,” as my mom put it. As it turned out, I was only half following the recipe for a 9-inch pie, and half following the recipe for the 10-inch pie. Oops. My mom told me to trash the mis-measured ingredients and start from the beginning. Baking is particular like that. The second time around, my pastry was near perfect. 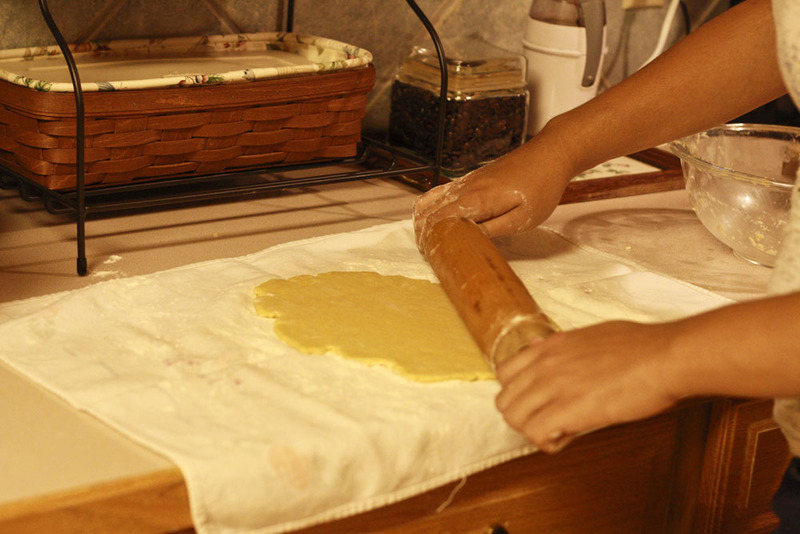 Then came time for me to roll-out the dough, which was kind of fun. 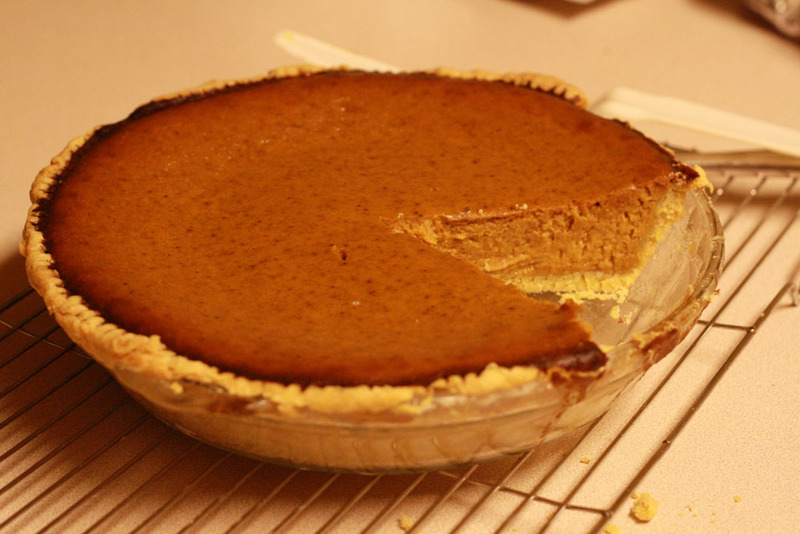 You have to be careful with pie crust, because it’s very sensitive. After amply flouring, rolling, and patching the pie dough, I had to wrap it around the rolling pin so I could deliver it (gently!) to the pie dish. It’s kind of like a little baby; you have to hold it gently so as not to upset it. Luckily, my pie-mothering skills came quite intuitively. The best part of the whole experience was spending time in the kitchen with my mom, and getting that “home for the holidays” feeling. Plus my mom got to tryout the early Christmas gift she got for me: my new camera. She took all of these photos except the last one. 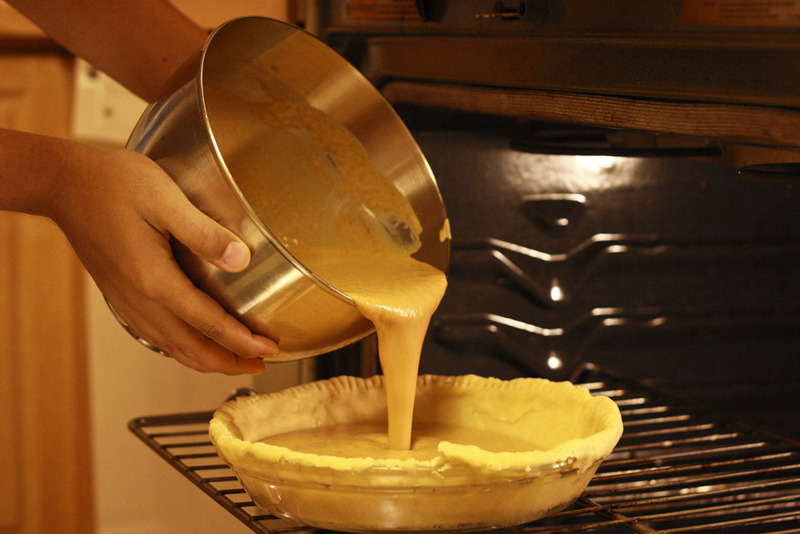 It was both funny and chaotic when she hurried to capture the victorious pour of the pumpkin batter into my first homemade crust. It was a glorious event indeed. After watching a painfully long and stressful game of Oregon Football, my pie was done cooling and ready to be eaten. Like the duck game, my pie was ultimately a victory. Sure there were some mistakes along the way. Yes, there was a good amount of panic and stress. But a win is a win. To cope with the emotional turmoil brought on by the game (and to reward myself for my accomplishment), I decided that not one, but two pieces of pie were in order. I know that Coach Kelly wouldn’t support me taking a break just because I pulled off a win, so by 1:30 AM I was back to the program. Just like I said in the beginning, two holiday treats mean an extra hard workout. So to make up for the pie fiasco, Philip and I did an extra section of The Biggest Loser Workout: Cardio Max. Because, like the ducks, I’m going all the way, baby. This is a project I did for my digital art class. 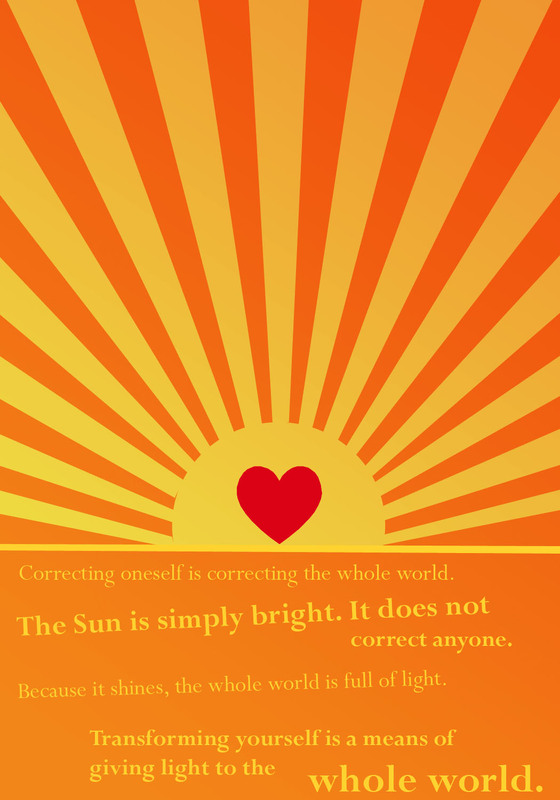 I really try to live by this statement by Ramana Maharshi. I know it sounds really cheesy, but one of the best contributions you can give to mankind is by improving yourself. I don’t know about everyone else, but I’m a creature of habit. To all you creatures-of-trying-something-new-every-day, good for you. But that’s just not how I roll. Fortunately, I recently admitted a new member to the group. 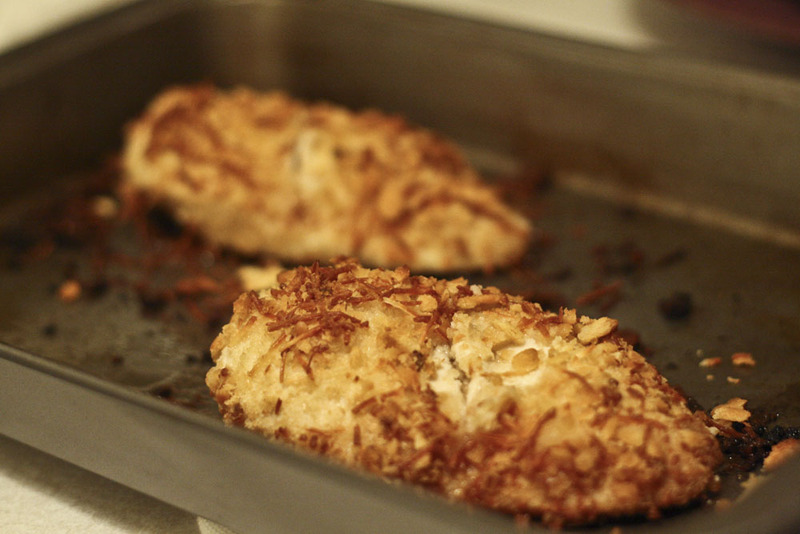 Meet Sally Devor’s parmesan chicken. It’s a simple recipe that my dear friend Sarah Devor was nice enough to share with me. Although she’s not sure where exactly it came from, she believes that it originated somewhere in the creative region of her mother’s brain. Sarah used to make it for me and our five other roommates when we lived together last year. I was crazy about it then, and I love it now. 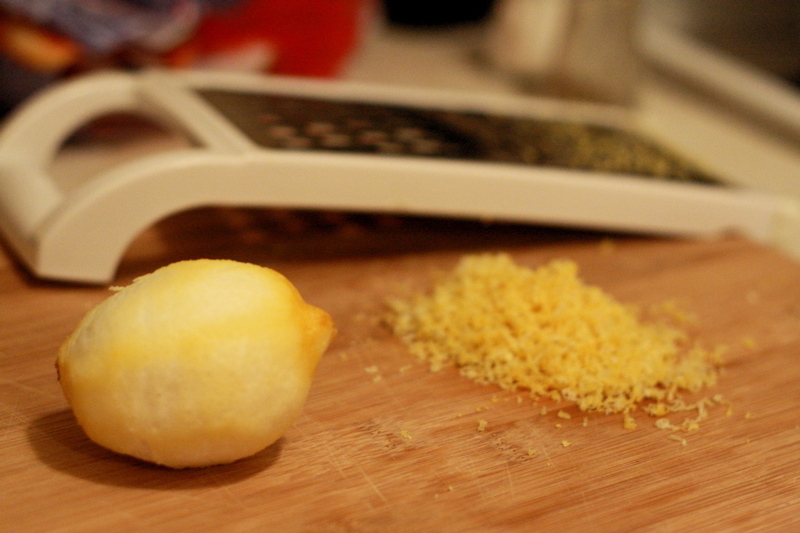 Crush one whole tube of Ritz, combine with equal amounts of parmesan cheese…mix together in a bowl. In another bowl, put one stick of butter and as much garlic as you want. Melt the butter and garlic in the microwave. Dip the chicken in the butter/garlic mix then roll around in the Ritz/parmesan crumbs. Repeat for all of the breasts. Put in a baking pan. Bake for about a half hour (If breasts) at 400 degrees. You’ll have to watch them if you aren’t using breasts…it depends on the thickness so just keep an eye on it. Pretty straight-forward, right? Well, that’s Sarah in a nutshell. One thing I would like to add is that the ingredient amounts can vary. If only making two chicken breasts, you will not need a whole tube of Ritz or a whole stick of butter. A whole stick of butter will probably work for 4-5 large breasts. And while we’re on the topic of butter, I would say to use a light margarine or buttery spread to cut back on fat. I also recommend that you use the Reduced fat Ritz, because let’s face it, they taste the exact same when baked on chicken. These days, its garlicky aroma fills my apartment on a weekly basis, and even seductively seeps down the hallway to entice my neighbors. After making this meal a few times, I’ve determined that it just might be the easiest recipe on my list. Just shove those puppies in the oven, steam-up some broccoli, and catch an episode of Say Yes to the Dress on Netflix instant view while you wait. I assure you, it is delightful. I hope you all had a Happy Halloween. Please don’t criminalize me, I did my part. 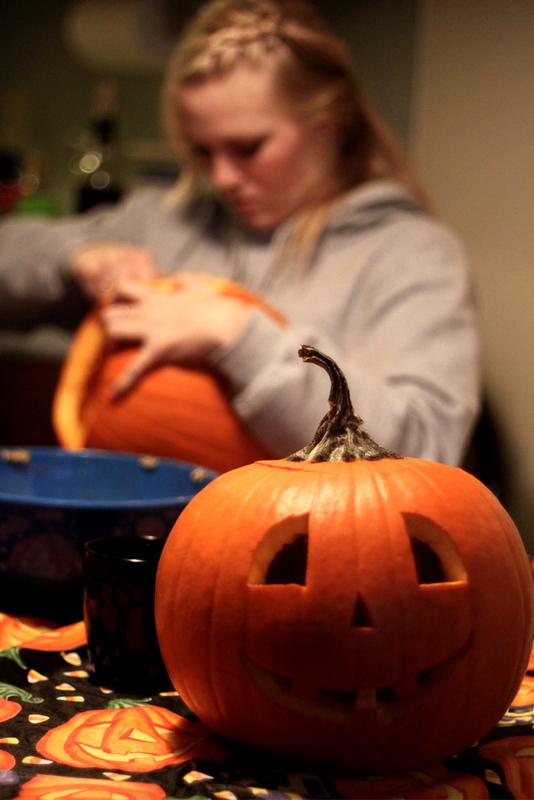 I carved that pumpkin up there, for one thing. I put on my red devil horns and tramped around town in the pouring rain. Now that that’s finally over with, I’d like to shift your focus on to the quickly approaching Thanksgiving, which ultimately is a sign that it’s CHRISTMAS TIME!!!!!!!!! Excuse my enthusiasm, but I just can’t understand how anyone can find mediocrity in days like these: waking up to the smell of sausages sizzling in a skillet, delivering diverse cookie plates to my closest friends’ doorsteps, circling around the table in pursuit of our prey–a seafood feast made complete by Mom’s all-bran roles. You might notice that all of these events involve stuffing my face. My whole year revolves around Christmas, or rather Christmas Eve (I like the anticipation). If every day were Christmas Eve, I would be the happiest of campers. In my small family of three, Christmas is a big effing deal. We don’t waste time getting a tree, although we do spend an awful lot of time picking one out. Last year, we spent about 4 hours, went to three different farms, and criticized more Christmas trees than is probably healthy–for us or the trees. Too tall, too small, too fat, too lop-sided, and too perfect are all serious issues that we mow over each year until we find the right one. And even after all that trouble, the poor tree will inevitably end up getting a haircut in the middle of our living room. Then it’s time to do the lights and the ornaments, and that’s just a whole new ballgame. So as you can see, we take a lot of pride in the details of our Christmas, and making sure that we are consistent in our traditions. My priorities are mainly that we get the perfect tree, rearrange the presents on a weekly basis, make lots of Christmas cookies, and have our seafood feast on Christmas Eve. My goal is three fold: 1) To not gain one pound of holiday weight. 2) To lose at least 15 pounds before January 16th. (I would just like to note that I initially put 12 pounds, but changed my mind. Losing 15 would mean I was the smallest size of my life). 3) To feel comfortable — not just fine–being photographed in a bikini. And there you have it. I am going to be losing weight while simultaneously eating Christmas cookies. I know it sounds insane, but I have a pretty specific tactic of how I’m going to manage my holiday needs while still getting results. I figure if I allow myself just a couple holiday treats a week and balance that with extra cardio and strength, I can indulge while still getting beach-ready. I will workout every day, 6 days a week, alternating and combining strength, cardio and yoga. I want to be toned. I will be on a low-carb diet in general, and eating mostly fruits, veggies, and protein. On days that I have more than one Holiday treat, I must workout twice, no exceptions. After Christmas, I will have a little less than a month to be freed of cookie season. The dates between December 26th and January 22nd will be treat-free. I will weigh myself at the beginning of each month. If my results are not where they should be at the beginning of December, I will need to adjust in one way or another. The key to this is to enjoy small amounts of Christmas goodies. Small portions, diligent and diverse workouts, and controlled decision making. I will be calmly tasting the cake, if you will, for the next two months. There’s no need to eat 7 cookies, when I can just have one or two in a calm fashion and enjoy them just the same. I’m now double excited for the Holiday season, can’t wait to get on that scale tomorrow, and into a bikini in January. The journey starts today, and I will be posting my healthy solutions along the way.